Ecotricity builds wind and solar generating systems. 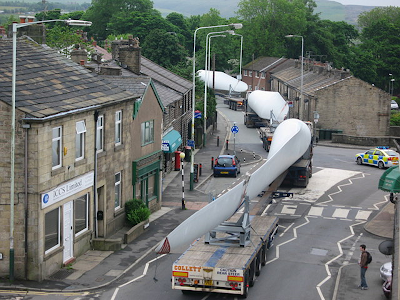 They also supply green energy to commercial and domestic customers in the UK. Starting from small beginnings they have made a significant impact in the market and continue to grow rapidly in capacity and popularity. Ecotricity was started by Dale Vince who built a small windmill generator from reclaimed components for his own use. Friends asked him to build similar generators and eventually he made a much larger one for a local farmer. He then wanted to build something even larger to connect to the grid, but hit all kinds of difficulties and additional costs imposed by the larger companies and distributors. Through persistent effort he managed to negotiate a deal and since then Ecotricity, the world's first green electricity company, has built many more large wind turbines and wind farms. Innovation - Dale has had many interesting and innovative business ideas and has never been willing to take 'no' for an answer. He raises extra finance by issuing bonds, his company also sells wind and solar generated power to end users and offers (at slightly higher cost) a 100% renewable deal. They have a policy of not having shareholders; instead, profits are ploughed back into building additional generating capacity. The company encourages new customers to sign up so as to use their power bills wisely, in other words to help build additional capacity. Their customer service is exceptionally good, polite and helpful. More recently Ecotricity has also developed a green gas plant, generating methane by biodigestion of waste. Dale has built record breaking electric vehicles, both a motorcycle and a high performance car that recently set a new world land speed record for electric vehicles. Caring for the planet - Surely we have a duty to care for the planet on which we live? Dale Vince is certainly doing his part to reduce environmental damage. If you live in the UK you could help simply by changing your electricity and/or gas supplier to Ecotricity. In other parts of the world you may be able to help in other ways. We can all do our part by reducing our use of energy, by walking or cycling instead of driving, by flying less often, by taking the train, insulating our homes, turning down the thermostat, showering more quickly - the list is long. But many small actions by large numbers of people add up to a significant difference. Making the switch - You can switch to Ecotricity online (if you use this link I'll get a partner contribution from the company). If you prefer to speak to them by phone call 08000 302 302 and quote 'SCI1' and I'll still receive the contribution. 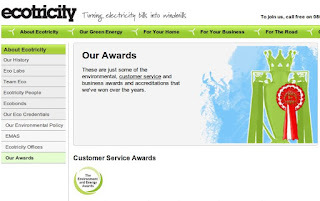 Have you heard of Ecotricity before? Are you doing all you can to reduce your household and business energy use? Are you using green sources of energy where available? We switched to 'ecotricity' some years ago when they were smaller than they are now. They're still far smaller than their competitors and getting started in competition with international giants was no walk in the park. But Dale Vince who founded and runs 'ecotricity' is full of unusual and effective ideas. He's also determined to make a difference and change the way we obtain and sell energy. Read Dale's blog for more on his thinking about green energy. 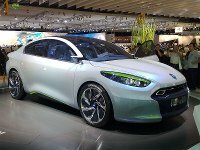 'Ecotricity' is different from the rest because it was built around a green and clean model. Take a look at their awards page to see how well they have been doing with that objective. For electricity, their current mix is about 60% green (mostly wind energy). For customers like us who opt for a slightly higher cost plan, it's 100% green. And the profit earned by the company goes into new green generating capacity. If you live in the UK please consider switching to 'ecotricity'. And if you live elsewhere in the world maybe you could build a windmill and go into business yourself!